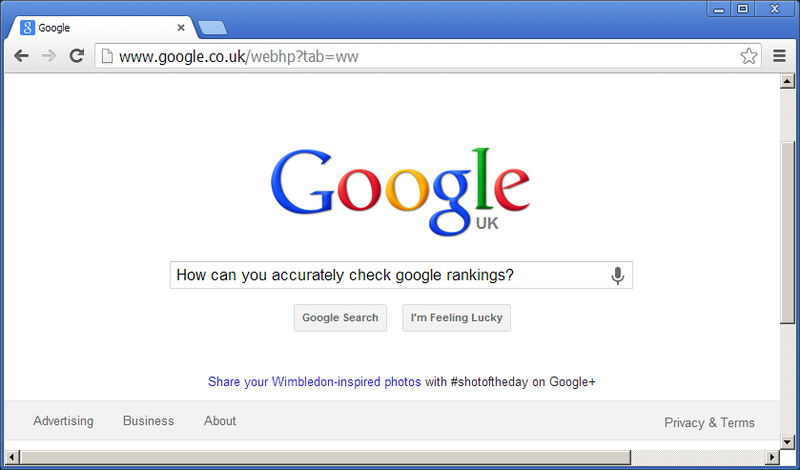 How Can You Accurately Check Google Keyword Rankings in Chrome? The trends in online marketing are quickly moving away from keyword rankings but they do still remain an important factor of most online marketing campaigns. Whether you are a small family business or a large multinational corporation there will undoubtedly come a time when you will want to know where you rank for your key search terms. There are a number of free and paid tools to check this but their accuracy varies drastically so a manual check is usually your best bet. The only problem is, with the increasing number of personalisation options being added by Google in addition to location and other search factors it’s gradually becoming more difficult to get an accurate result. When I say accurate, what I mean is the most unbiased result possible. The fact remains that your potential customers results will still vary down to their own personalisation, history and location settings. 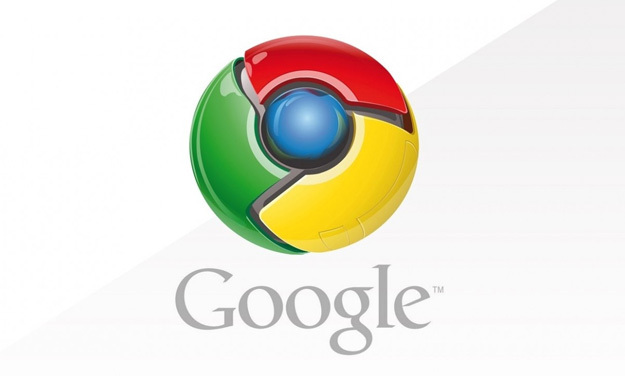 If you haven’t already started using Google Chrome as your web browser of choice, you really should. It’s market share has grown drastically over the past few years and is now the browser of choice for over half of the internet using public for reasons such as speed, stability and ease of use. Head over to Google and download it now! The idea of this guide is to make checking rankings easy not just once but every time. 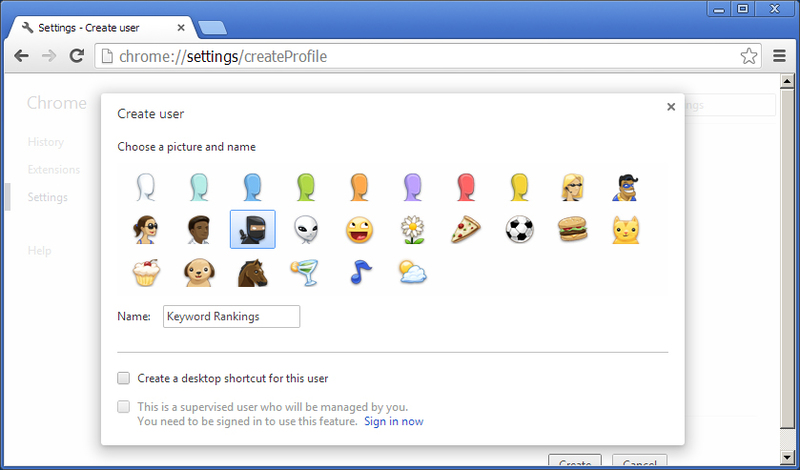 The easiest way to ensure this is to create a new user profile (Settings > Users > Add new user) in Chrome to use specifically for this purpose. This ensures that all your settings remain the same and means you can simply switch back to your personal profile with all your personalisation settings and history in tact. Obviously you won’t need to do this in the initial set-up, but it’s worth clearing your browser data (Settings > History > Clear browsing data) every now and then just to be sure. Make sure you clear everything including your cache. Again, this won’t be necessary if this is your first time doing this but it’s worth a quick check in the future. It’s easy to accidentally sign in on the wrong profile or for someone else to use your machine and do it. 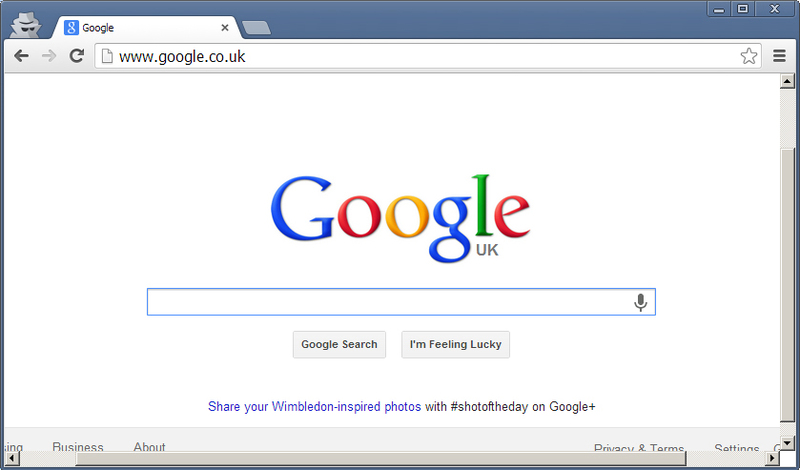 If you see the “sign in” button on the Google homepage, you’re not signed in. Alternatively, head over to Gmail and see if you’re greeted by your inbox or the sign in form. If you perform all your searches in an incognito window you can completely remove the need to clear your browsing data regularly. 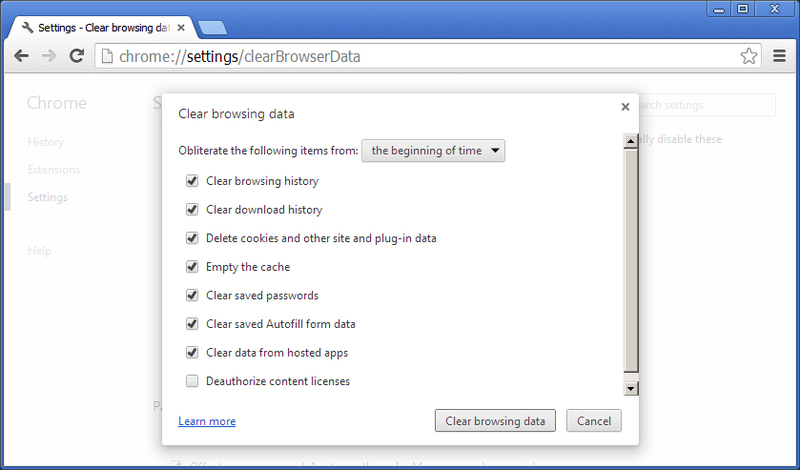 Do this by opening the drop down settings menu and select the new incognito window option. 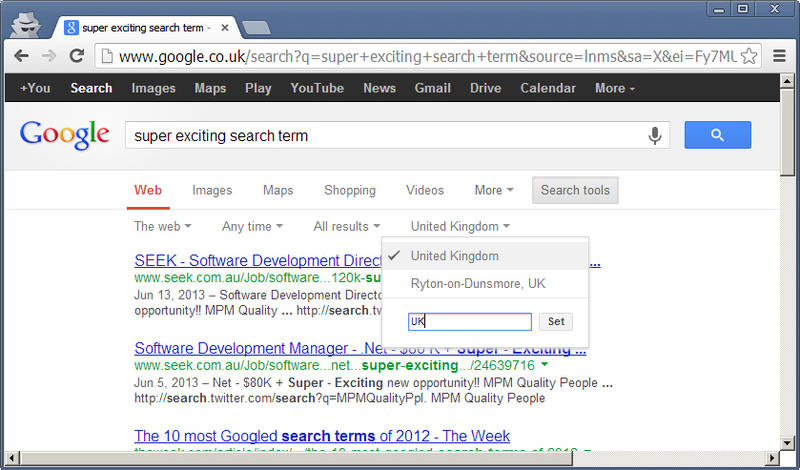 Finally, after performing your first search click on the ‘search tools’ option and then the location drop down and set your search location. 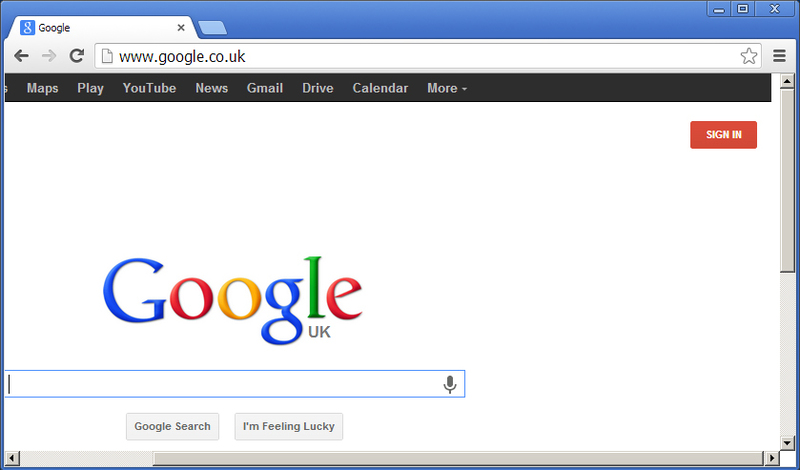 When tracking national keywords this should simply be the UK or whichever country your main customer base is in. If you are tracking your keywords for a specific region or area you might want to select this instead. This setting should remain for the rest of your searches but you will probably need to reset it the next time you want to check rankings. And that’s it! Let me know in the comments how you do your keyword ranking checks and if you’ve found an automated rankings checker that actually works I’d love to hear about it!